The photograph was taken in the Alford Railway Museum. Practices are now held at the nearby Heritage Centre in Mart Road, just off Main Road. The new venue and a new tune! 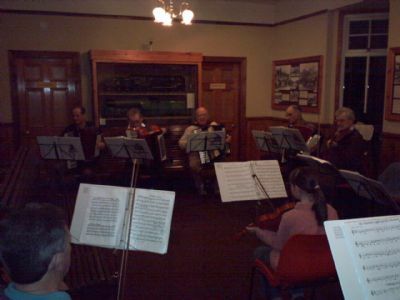 This is a picture of our first practice in the Heritage Museum (Wed Jan 16, 2008). 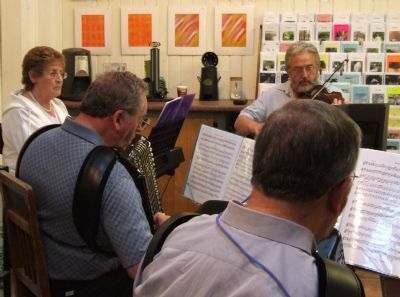 Holding the music score, centre stage, is our newest member from Aberdeen, the local composer Don McLellan. 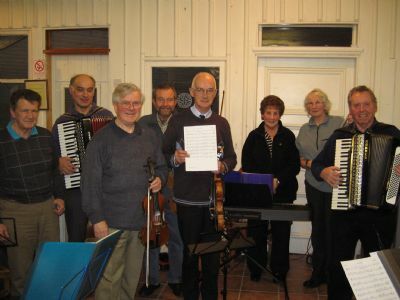 Don is holding a copy of a new tune he has written....a real cracker of a march called.....The Alford Fiddlers....needless to say we are very proud to have him as a member and to have been honoured with a tune named after us! 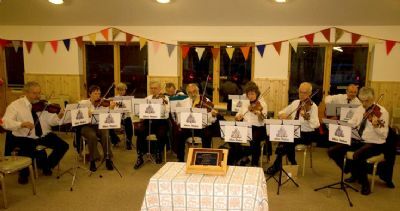 Here we are playing at the official opening of the newly refurbished Tullynessle and Forbes Community Hall on Sunday 16th November 2008. 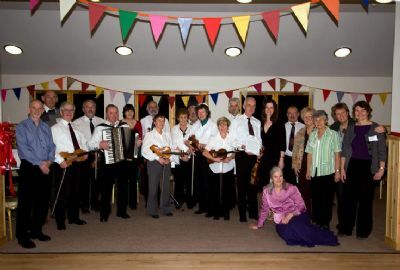 ...and a group photograph of the Tullynessle and Forbes Hall Committee and the Alford Fiddlers as Don McLellan presents a framed copy of the new tune he wrote especially for the occasion. 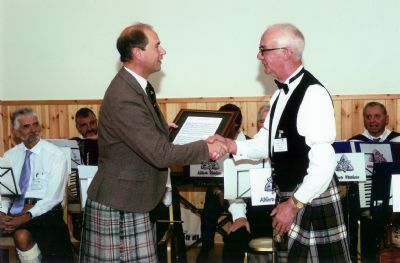 Courtesy of Aberdeenshire Council, this photograph was taken at the recent visit made by HRH The Earl of Wessex to Alford. 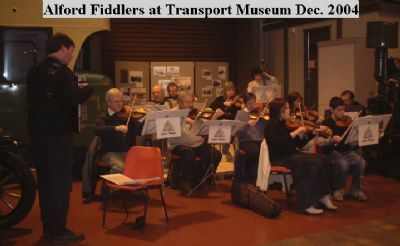 The following are short video clips filmed during our first public performance which took place in the Grampian Transport Museum at Alford.